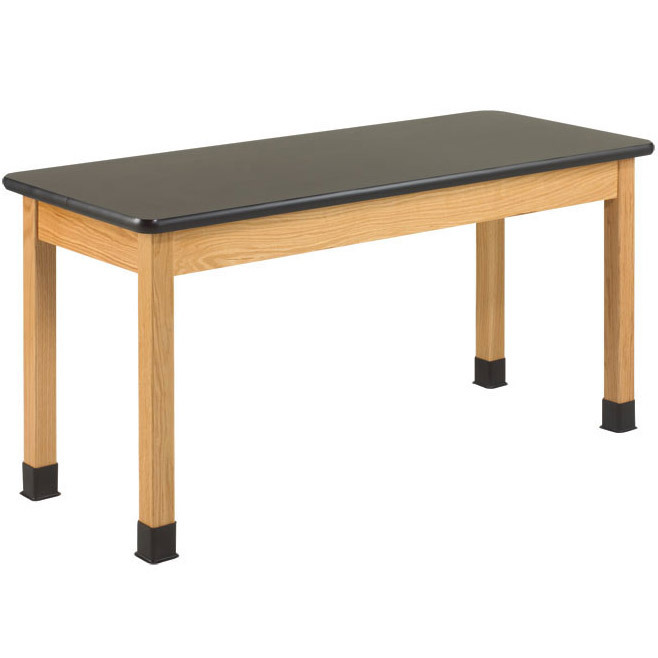 Quick Ship sizes without any options added: 24x48, 24x54, 24x60, 24x72, 30x60, 30x72 Diversified Woodcraft solid hardwood science tables represent the very best in American made, quality science tables. Legs and aprons are constructed from smoothly machined solid red oak with a clear chemical resistant finish. A 1-1/4" thick ChemGuard prepared top is an excellent choice for chemistry classrooms, chemical resistant and durable, ready for years of use. Science classroom table aprons are 4-1/2"H x 13/16"D with heavy-duty 13 gauge steel corner braces that span the full height of the apron. 2-1/4" square solid hardwood legs are attached to apron with heavy duty mounting hardware. All tables are equipped with non-skid adjustable glides for precise leveling and for prevention of rocking on uneven floors. Tables are supplied with black rubber leg boots to protect against chemical spills. 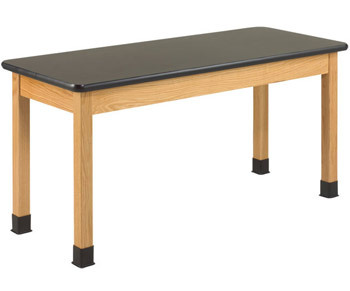 Design a quality science lab, or replace existing units with this classic table. Options for all tables withtaller leg heights or 4.5" locking casters, electrical outlets are built into the apron's side. One electrical outlet is available on the 21", 24", 30", 36", and 42" wide tables - Optional two electrical outlets are available on opposite sides of the tables for the 36" and 42" wide tables (please inquire for custom pricing). Wooden leg braces and stretcher bars come standard when you order the optional casters. Click here to view this table with Book Compartments included. Standard table Height is 30"